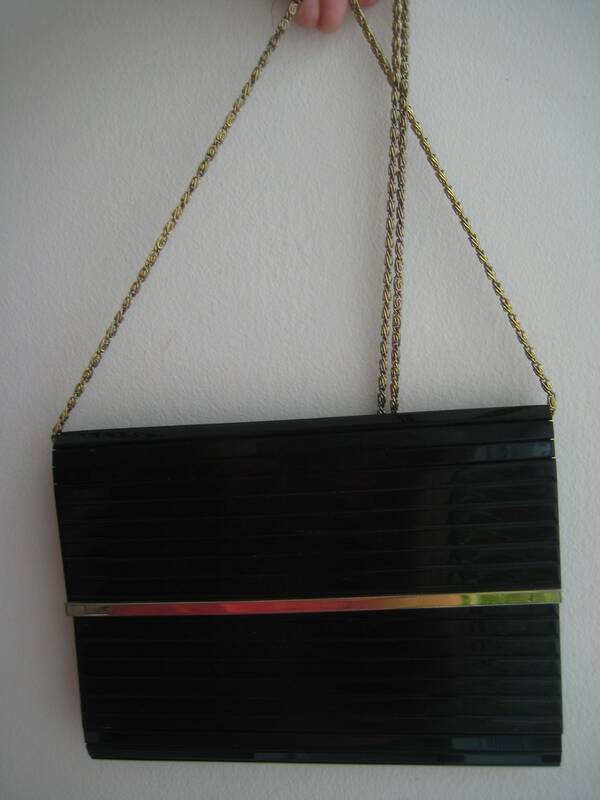 Classic 80's envelope bag made of black Lucite. 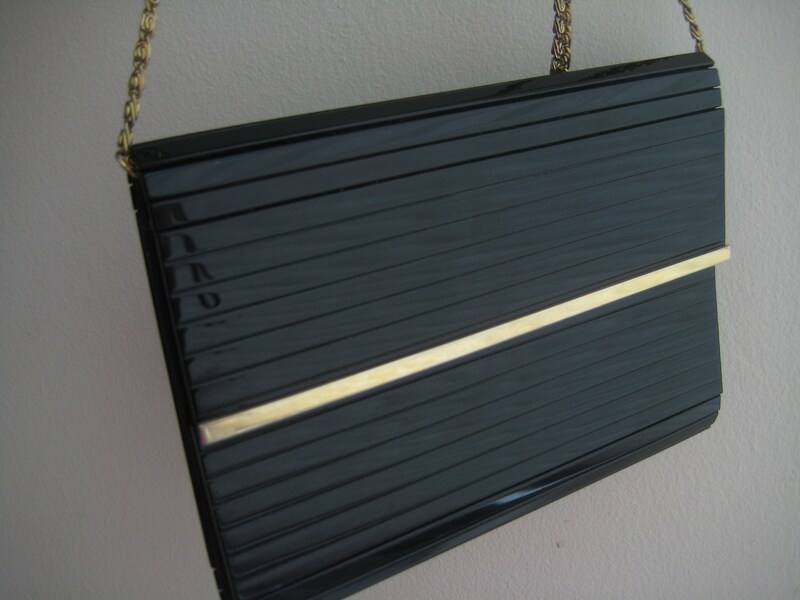 Long 20 inch gold tone chain that can fold into the bag to make a clutch. 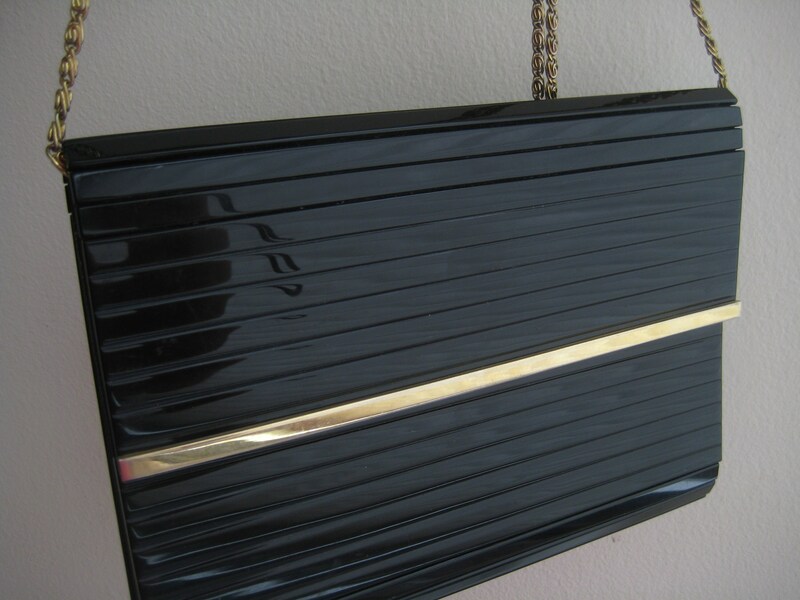 Gold tone metal trim on the bag. 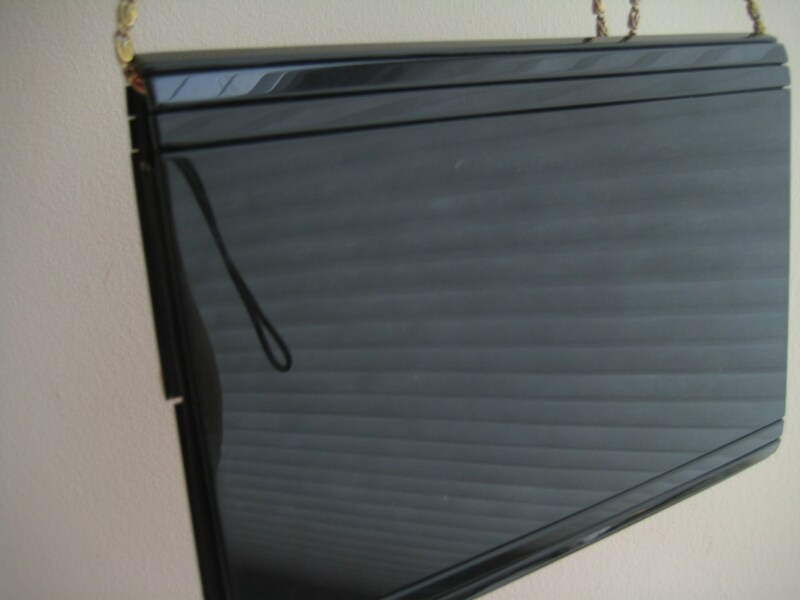 [The color seen in the metal band on the front in the photo is from a reflection.] 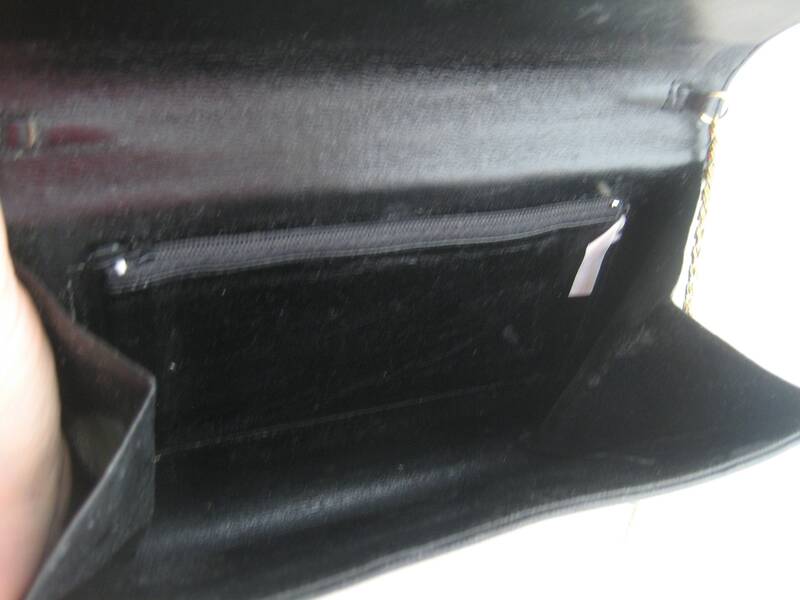 Black leather trim on the front under the flap. 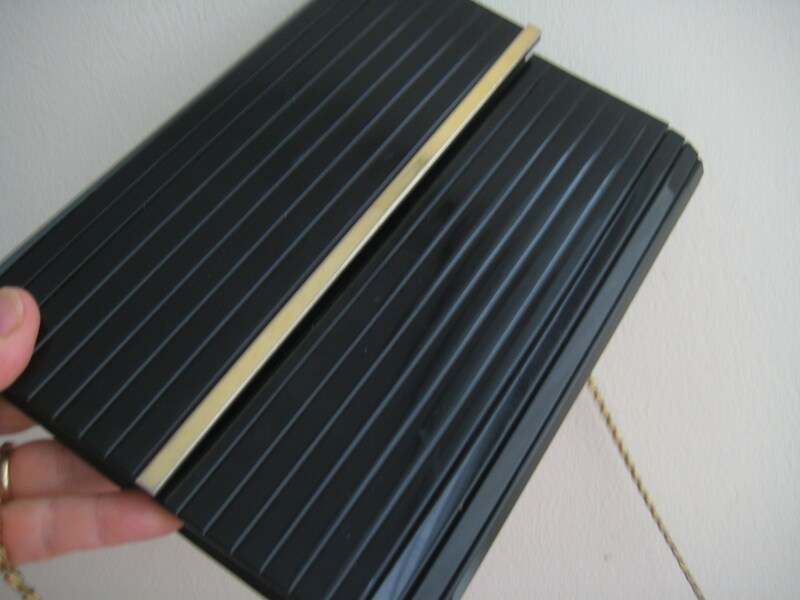 Gold tone metal magnet closure. Bag is nice and roomy to hold essentials on date night or next special event! Faux leather interior with one side plastic zippered pocket. Made in China label. Dimensions: 9 inches long x 6.5 inches tall x 1-4 inch expanse wide.